Thank you so much for our exquisite wedding cake and the Koala macarons!! 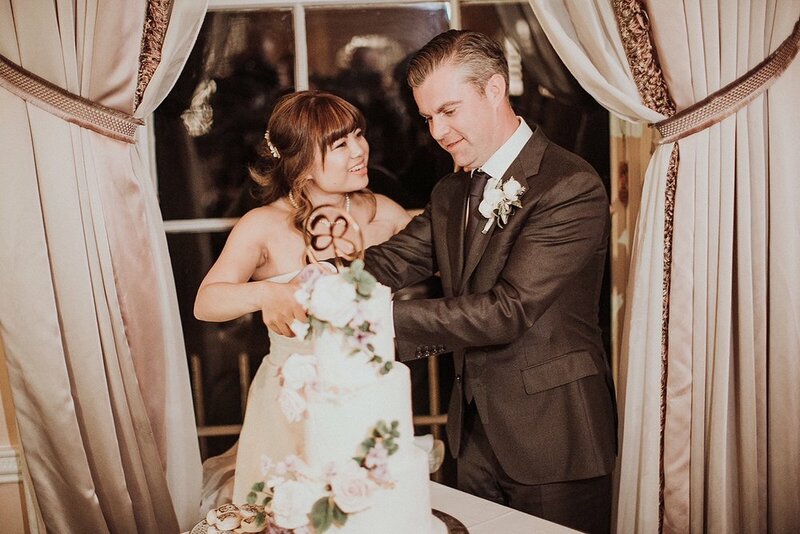 We know you guys make incredible cakes and desserts but when Michelle showed us the cake and macarons, we were absolutely floored over. Words cannot do justice to how gorgeous and incredible they looked. And those custom hand-painted macarons! In addition, the gold topper incorporating our logo just made it perfect! Absolutely incredible! In addition, everything was just delicious! We had guests debating which wedding cake flavor they loved the most, and had a hard time deciding as all the flavors were great! You guys more than exceeded our expectations and we would not hesitate to recommend Cupcakes and Counting to anyone looking for custom cakes and desserts to come to you guys! From start to finish when we first were in contact with Jen and Jay, they have always responded in a timely fashion, and an absolute dream vendor to correspond with. Beyond their gorgeous custom cakes, when asked to personalize macarons with koalas that was an inside joke for ourselves and our guests, they took to the challenge and hand-painted incredible koalas on each macaron!